Demetrius Vikelas is a poet and a novelist. His work Loukis Laras is considered to have played a major part in the development of neohellenic literature. He has also joined the organization of the 1896 Olympic Games in Athens and was the first President of the International Olympic Committee. Vikelas was born in Ermoupoli, February 15th, 1835 on the island of Syros in Greece. His father was a merchant, originally from Veria (then part of the Ottoman Empire, today capital of the northern Greek province of Imathia in Central Macedonia) and his mother, Smaragda, was a member of the rich Melas family. He was educated at home by his mother, possibly due to his fragile health. When he was six, the family moved to Constantinople, and ten years after that to Odessa. There he started working for his father’s business. Already he showed signs of his literary potential. 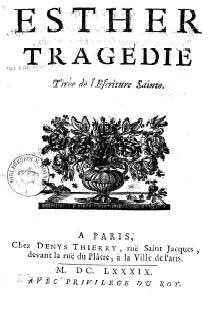 At the age of 17 in 1851, he translated Esther, a tragedy by Jean Racine. In 1852, he traveled to London to receive a professional practice and worked there as an employee and partner of his uncles’ merchant house Melas Brothers (his mother’s family name was Melas). He started writing poems in 1855 and published them in newspapers and magazines of Athens or submitted them to the University’s poetry contests. In 1876, the Melas business was closed and Vikelas decided to relocate to Athens and later settled down in the city in 1897. Except from his scientific works, he was also into charity and community service, with works like the foundation of a club for the spreading of useful books, with George Drosinis in the secretariat in 1899 and he later established the House for the Blind in 1898, the Shooting and Labour School in 1898 and the 1st Education Congress in 1899. In 1894, he participated in the International Athletic Congress of Paris, after being motivated by the Chairman of the Panhellenic Athletic Club Ioannis Fokianos. He was chosen for this participation as a well known Greek novelist in the European capital cities and also as a notorious lobbyist. The idea of Olympism by Baron de Coubertin and the revival of the Olympic Games as practiced in antiquity was first spread at the congress, as well as the foundation of the International Olympic Committee with Demetrius Vikelas as its first president, who later proposed to organize the first modern Olympic Games in Athens in 1896. With his responsibility for the 1896 Summer Olympics, Vikelas returned to Greece for just ten days in autumn 1894. On October the 14th, he received a telegram from doctor Luys informing him that the condition of his wife had worsened. She had œdemas in her thighs, calves and stomach. She could no longer feed herself. He urgently returned to Paris. It seems that she then died. In November 1894, a number of young nationalist officers, advocates of the Megali Idea, created a secret society, Ethniki Etairia, whose aim was to revive the morale of the country and prepare the liberation of Greek peoples still under the Ottoman Empire. In September 1895, they recruited civilians, all linked to the organisation of the Olympic Games, including Vikelas himself, although he claimed only to have given in to friendly pressure, playing a solely financial role and then quickly resigning from it. At this point he was still attracted by the possibility of rebuilding his country. After the Games, which proved a success, Vikelas withdrew from the IOC, replaced as a member by the Count Alexander Mercati and as president by Coubertin. The defeat in the Greco-Turkish War which came soon after dealt a serious blow to his morale. He decided to leave Paris to move permanently to Athens. There he dedicated himself to popular education. In 1899 he founded the “Society for the Spread of Useful Books” in Athens, to help the country to recover from its defeat. In 1905, he represented the University of Athens at the third Olympic Congress and seventh IOC Meeting in Brussels. He also remained an active member of the Hellenic Olympic Committee. He died in Athens on 20 July 1908 “from an afflicting illness”. He had been made a knight of the Legion of Honour on 31 December 1891, and honorary doctor of the University of St Andrews in November 1893 (the first Greek to receive this honour). He was a member (from 1874, and Vice-President from 1894 ) of the French “Association for the Promotion of Greek Studies”, and of the Society for the Promotion of Hellenic Studies in London. He left his immense library collection to the city of Heraklion in Crete, founding the Vikelaia Municipal Library. Though in fact he did not live much of his life in Syros, the island counts him among its most well-known sons. Today, the Sports Center (Stadium) in Ermoupoli bears Demetrios Vikelas’ name. The stadium seats 2000 people, and has an Olympic-size swimming pool, four tennis courts, two gym halls, basket and volleyball courts, track and field, floor football court and soccer field. Also the Syros Island National Airport is named for him.